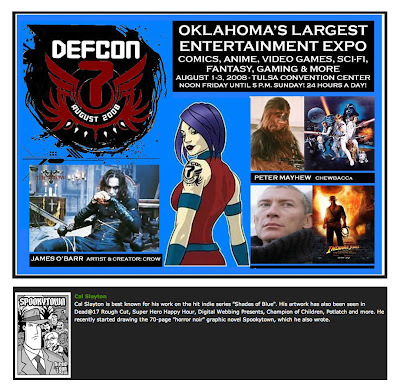 cal slayton | illustrator | graphic designer | comic book artist | dallas | dfw: This Weekend - Tulsa Defcon! Just a reminder that Tulsa Defcon 7 is at the Tulsa Convention Center this weekend. The show is actually Friday through Sunday but I’ll only be there Saturday and Sunday. I’ll be doing commission sketches, selling art, comics and other goodies. So, if you’re gonna be there, stop by my table and say hey. Above are some pre-drawn pieces that I will be bringing to sell at the show. those firefly sketches are awesome!